I'm interested to know what some of the posters' big days in terms of VMs covered at Thredbo on a standard ski day (i.e. from first lifts to last lifts at a maximum). I've seen some sickening stats from the likes of Normo lapping the V8 over at the big flat, but no such craziness from Thredbo regulars. Also curious to hear how you structured your day, as in did you intentionally smash them out or did it just happen while you were in the throes of ecstacy due to conditions/weather etc. I've found the Thredbo tracking app to be great fun for challenging myself to ski harder and cover as many VMs per day as possible (it helps that i usually ski alone), anyone else like running these little personal challenges or am alone in that? I get the email for over 5000, and never win the heli trip. I probably did 200-300K this season off 50 days, however I really haven't got a clue and don't care, like @telecrag I had numerous non winning heli trip entries which I did care about. Some of my favorite days are not necessarily the ones with the best conditions but when I know I've rode the mountain in the right spots at the right time, all day. If that's 10K+ of great fall line skiing or 5K odd of slack country, you'll find a happy camper at the end of the day. piolet, Laska Goralska and telecrag like this. 5000m is not a lot of vertical at Thredbo. I'm a mere mortal and can pouch out an "Everest" of 8848m. Early to bed afterwards. 2.5K of snow VM,s and 2.5K of twigs and bark. But hey ........ they all count. Arne and piolet like this. Isnt kpsi chair 600m. 1350 to 1950. Justultiply you trips up kosi by 600. Easy to do 10000 without even trying. Lets say a lap every 20minutes. Thats 24 laps. So thats close to 15000m. Fair point, as much as I like to have the odd challenge day to really ski my thighs into mush and see how much I can smash out, I'd take 5000 VMSs of great skiing over 15,000 of just going through the motions on a cut up supertrail for the sake of d*ck measuring. CarveMan, cornice11 and Onlybackscratchers like this. Ted Harper and Astro66 like this. sbm_, skifree, DidSurfNowSki and 6 others like this. Blardy 'ell, I remember that day. They were all testing new watches. Race trainer Dave O'R hit a mogul at mach speed and was airborne into a tree, broke both legs. A very sombre day, he was one of the best skiers on the mountain. Took him a couple of years to get back onto skis. Vertical miles mean nothing to me (unless one day those emails get me on a helicopter!). It's all about looking for the best snow and being in the mountains with people I love. Sage Oya, Townsend, LaNeige and 3 others like this. Try Trace Snow. The info you can get about your day from their website afterwards is more extensive than Thredbo's. I've tried a couple of different resorts' apps and they all have shortcomings. Not to say Trace doesn't, but it seems to have less. sastrugi and skifree like this. My level of bliss is in no way linked to the number of vertical metres I ski. Just nice to know at the end of a huge day, or as a once every now and again personal challenge to set myself when skiing alone in average conditions, where my focus is on something other than finding new lines or revisiting previously enjoyed ones due to their below average condition. ....or early in the season when skiing the golden triangle. Lapping HN for hours on end with the rest of the mountain closed can be a lot more enjoyable when there's a quantifiable challenge involved. I don't even remember skiing High Noon this year, over two trips. I'm sure I must have done one run on it, just to say 'I did HN this year'. It's great when it's on but I find it a bit pedestrian the rest of the time. And I'm not on that side of the mountain to hit it first up each day. Only time I'm interested in VM is if I'm hiking. Yeah it's definitely not a run I'd spend much time on given other options. I do like to warm up on a freshly groomed HN before heading further afield sometimes, and early in the season when it's a choice between Merritts and HN, I'll generally hit up laps of HN and concentrate on technique, or shake a leg and try to smash out as many laps in a day as possible given the scarcity of other options. So yeah, not my favourtite part of the mountain, but good fun first up in the morning, or if the golden triangle is all that's skiable. Yep, just need one that automatically complains about snowboarders and issues reminders as to how good the conditions were yesterday and that you should have been here last week and we'll have a fully fledged skiing app. Thredbo skiers don't obsess about meeting vertical meter targets, in the same way that people who are rich don't obsess over budgeting pennies to pay the bills. fenrir, zac150, Telemark Phat and 6 others like this. Cos I need to manage my energy. I started to get the feeling that some people for some strange reason view it as a bit gauche to even consider vms covered when downhill skiing, in fact I still have that sneaking suspicion but the need to track energy output in BC or when hiking def makes sense. Its more than a sneaking suspicion. Most skiers rate quality over quantity. As do I, but when the quality ain't there, quantity can keep things interesting. Like I said above, I'd happily take 5,000vm of ripping through great snow than 15,000vm of a chopped up, busy boulevarde like ST.
Good fun either way, but I know which i'd prefer by a long way. 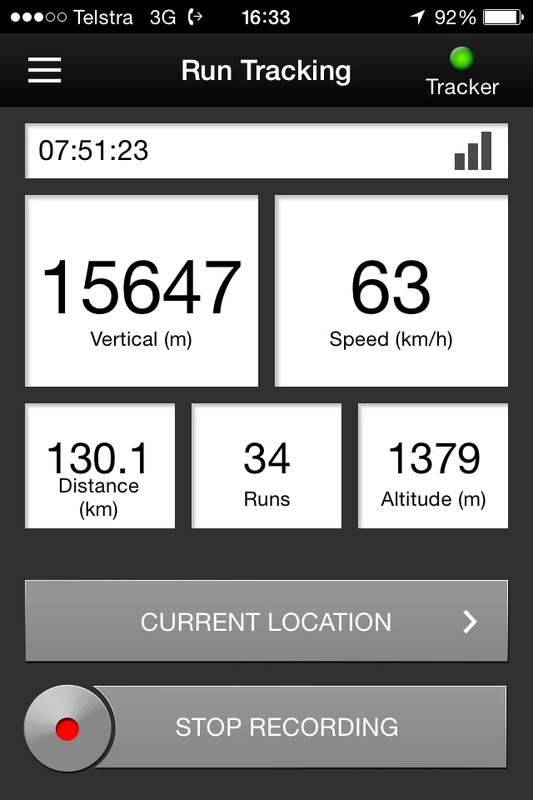 Most of my best days of skiing would have had less than 5000vm. BC skiing about 1300m is as much as I can hike and still claim it to be an enjoyable day. The beauty of not recording things is you can say, with complete honesty, we did about 30kms, around 3000m climbing, and skied 45 degrees. recorded version : 15kms, 1200 climbing, and 32 degrees. Just doesnt capture the feel like the above does though does it? Townsend, Telemark Phat, sastrugi and 5 others like this. Must’ve been Front Valley straightline. Here are some vertical metres, a little ways out of Thredbo. Think north and west... and then think of views to Bogong. and some more... so close to Thredbo. sastrugi and Laska Goralska like this. Anyway, what's the story with this pic? No skiing is superior to battling your way through that throng to ski a flat, narrow strip of manmade. I'd rather close my eyes and think about skiing than ski that! It's photos like this that are making me want to start exploring beyond resort boundaries next year. This timing event happened early morning before 8.30am BUT ... it didn't finish until after 8.30am. The reason he hit the tree was because he avoided hitting a person and hit a small mogul instead. Big BIG lessons learned that day... no resort would ever allow something like that to operate in this day and age... all because incidents such as this is where the lessons were learned the hard way - no area or run was roped off for them. They were just hitting ST and WC. Everything you say is true, and the only reason I wear a helmet (well, started wearing one in the first place) was because of accidents such as these/other skiers on the hill taking out people. Friend of mine (local) was found looking for her skis, not with it, person who found her thought, this aint right, took her in, concussed. She was out for a couple of weeks, and when she was telling me about it, she still has no idea at all what happened. One would hope it didnt involve another person. Not directed at tcrag btw. Onlybackscratchers, Laska Goralska and sastrugi like this. Clocking up the VMs doesn't seem to me to be as big of a risk as those trying to set speed records. I note the app also tells you your max speed on any given run. This to me is far more dangerous as it could encourage less than expert skiiers to push beyond the limits of what is for them a safely skiable pace. Not sure it's the greatest feauture given what it could invite. Having said that, there were a few days in late August this year when True Blue and Little Beauty were skiing faster than anything I've ever I've ever skiied, would be curious to know just how fast but I didn't have the app running. However it's precisely this temptation that could lead some to take risks that could endanger others. Not sure I'm a fan of that little feature.